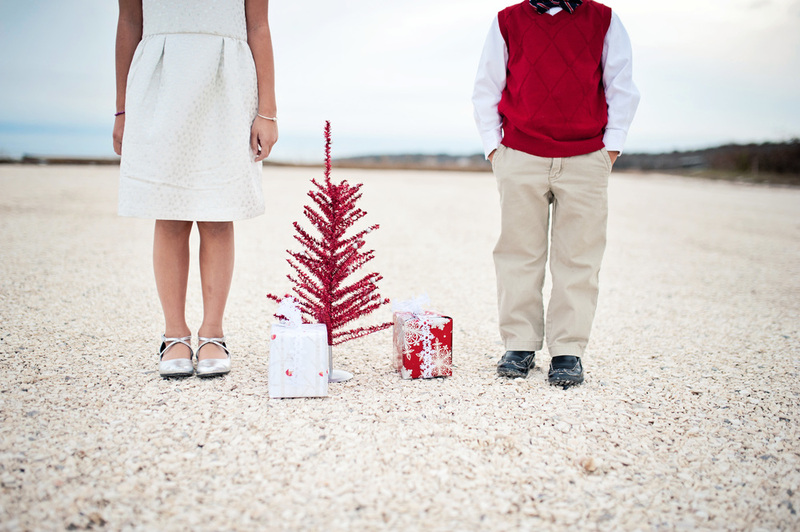 Finding the right location and the right outfits and the right feel for your Holiday card (in my case, Christmas card) does not have to be costly, difficult, or a total time sucker from your holidays. Instead of being annoyed that the holiday decorations hit the stores in October, I picked out my favorite wrapping paper. Inspired by the colors and design and a quick grab of a sweater vest off of a Target sales rack, I grabbed a little Christmas spirit. Because I have the ability to create my own card with phrases and sayings (Yes, I can do that for any of my clients as well!) The phrasing was "Bells are ringing, Children Singing, all is Merry and Bright..." Added bonus? I totally scored and when handing over presents wrapped in the same paper that year. I had looked like my entire holiday was color and theme coordinated. What inspiresyou?